A monumental portrait of Fath-Ali Shah, the second ruler of the Qajar dynasty, will be offered at Bonhams’ Islamic and Indian sale on April 30 in London. The 5ft 5in x 3ft (1.67m x 93cm) oil on canvas, which is being offered at auction for the first time with an ‘estimate on request’, was commissioned by the Qajar court and shows the ruler seated against a jewelled bolster. It is expected to make in the region of £500,000. Fath-Ali Shah, who reigned for 40 years after one of the most terrible civil wars in Persian history, is considered a major catalyst of Persia’s cultural revival. He came to power in 1796 at the age of 24. 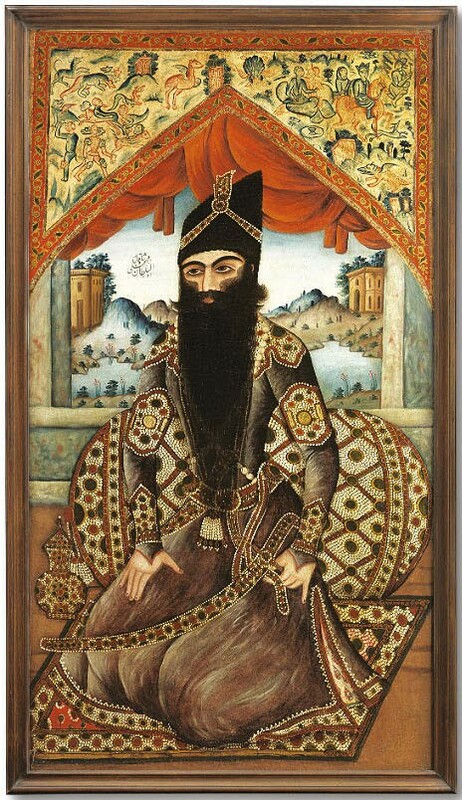 Fath-Ali Shah’s enthusiasm for self-promotion led to the canon of life-sized portraits commissioned by the Qajar court. These works were paraded through the streets, sent abroad as diplomatic gifts or, as is the case here, created to adorn palace walls.